ROCHESTER, N.Y. (May 8) — Excelsus Solutions, the Rochester, N.Y. based print company, has signed back on with Kyle Wyman Racing to title sponsor the team for the Virginia International Raceway event. 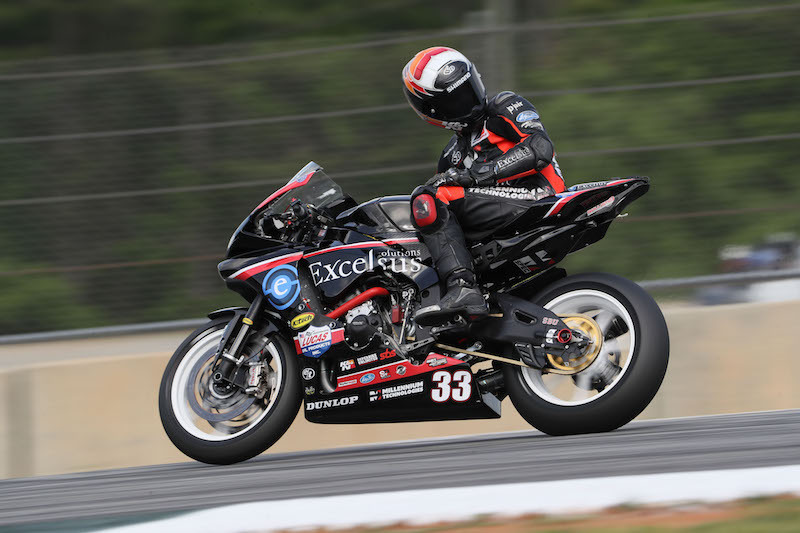 After an impressive performance at Road Atlanta, Wyman will continue to ride the #33 Excelsus Solutions/Lucas Oil/KWR Superbike this weekend at V.I.R. for the third round of the MotoAmerica series. Wyman sits 11th overall in series points standings after two rounds, but only five points separate him from the top-5. With momentum coming off of his 5th place overall finish in race two in Atlanta, Wyman is looking to fight for the podium in Virginia. Excelsus Solutions, the print and high-value graphics provider for numerous Fortune 500 retail and grocery chains, sees value in partnering with a team like KWR. Visit www.excelsussolutions.com for more information. 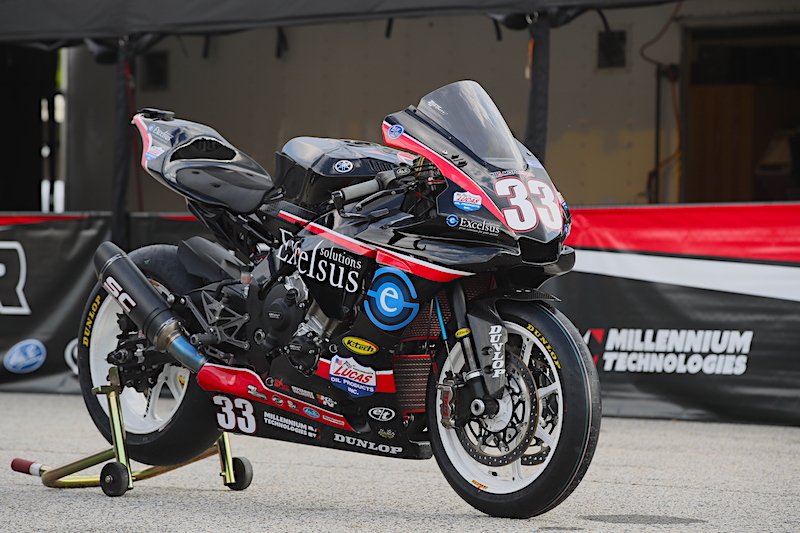 Watch for the #33 Excelsus Solutions/Lucas Oil/KWR Yamaha Superbike this weekend at Virginia International Raceway in Alton, Va. LIVE coverage begins on BeIN Sports Connect with Superpole qualifying, Saturday May 13 on beIN 6. LIVE coverage of both Superbike races on Saturday May 13 and Sunday May 14 will be on beIN Sports Network.